The anticipation for Avengers: Endgame has reached fever pitch. As we get closer to the movie's premiere, the cast and crew of the film are giving us hints as to what to expect as the superhero saga hit theatres. Recently, during a media interaction in Seoul, Kevin Feige, the President of Marvel Studios gave some tips to prepare themselves before coming to watch the movie. "Bring tissues. And bring your enthusiasm and love for these characters and cast because the actors have worked so hard for so long. We shot this movie for almost two years with Infinity War at the same time. I think just go into a theater full of fans and other people. And I hope you enjoy the movie," Feige told the media. Film producer Anthony Russo said that the film will keep the audience on the edge of their seats, so much so that a popcorn break would be difficult. “Like Kevin said, this movie is intended to be the culmination of the 22 movie run. There are a lot of wonderful stories that we are wrapping up with this movie. This movie is very substantial with a running time of three hours and one minute. So one thing you can do to prepare for this movie is to not eat or drink anything for maybe a couple of hours before the theater. I would also say bring a snack with you to stay in the theater for a couple of hours," Anthony Russo said. 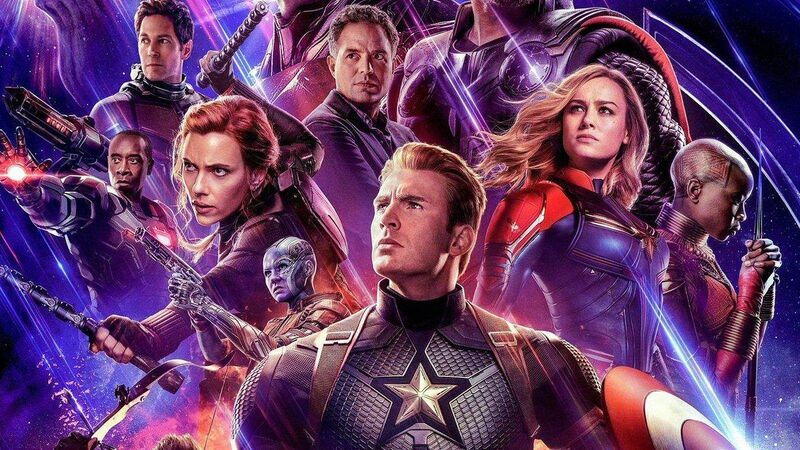 Avengers: Endgame stars Robert Downey Jr. (Tony Stark), Chris Hemsworth (Thor), Mark Ruffalo (Hulk), Chris Evans (Captain America), Scarlett Johansson (Black Widow), Benedict Cumberbatch (Doctor Strange), Don Cheadle (War Machine), Karen Gillan (Nebula), Josh Brolin (Thanos), Gwyneth Paltrow (Pepper Potts), Letitia Wright (Shuri), Samuel L Jackson (Nick Fury), Jeremy Renner (Hawkeye), Paul Rudd (Ant-Man), Jon Favreau (Happy Hogan), Brie Larson (Captain Marvel) and Tessa Thompson (Valkyrie). The movie will hit theaters on April 26.